PALO ALTO – After years of delay in implementing changes that address sharply growing concerns over treatment of Black users and communities of color, Facebook yesterday agreed to publicly release by the end of the year a progress report on a civil rights audit demanded by Color Of Change, the nation’s largest online racial justice organization. Since 2016, Color Of Change has been demanding the audit, along with partners, over concerns about hate speech, doxxing, voter suppression and Facebook’s failure to protect the safety and security of Black users and users of color. Color Of Change demanded yesterday’s meeting after public revelations in the New York Times that Facebook had hired Definers, a controversial PR firm, to conduct opposition research and smear Color Of Change with reporters using anti-Black and anti-Semitic tropes about George Soros. The meeting, at Facebook headquarters in Menlo Park, Calif., was attended by Facebook Chief Operating Officer Sheryl Sandberg, Director of External Affairs Lindsay Elin, and Manager of External Affairs Monique Dorsainvil. Color Of Change was represented by President Rashad Robinson, Managing Director of Campaigns, Arisha Hatch and Senior Campaign Director, Brandi Collins-Dexter. At the meeting, Sandberg apologized to Robinson and Color Of Change for Facebook’s actions while distancing herself from the work of the Definers Public Affairs and refusing to commit to release the details of the company’s engagement with the firm. scrutinize its consultant relationships to ensure that none were involved in practices like those of the Definers. While Facebook made some meaningful commitments to change, the response was insufficient to the harm done and Color Of Change will continue to press on all of the demands (see below). “In yesterday’s meeting, Sheryl Sandberg made an apology to Color Of Change for the anti-Semitic and anti-Black smears orchestrated by Definers Public Affairs and also committed to a public update on the civil rights audit by the end of the year. Hours after the meeting, more was revealed about Ms. Sandberg’s role in obtaining opposition research. 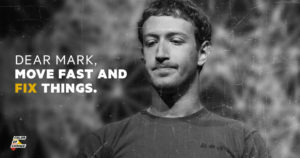 Facebook can show its commitment to transparency by turning over all of the files prepared by the PR firm to discredit Color Of Change and Facebook’s critics. Facebook, like much of Silicon Valley, desperately needs a cultural transformation. 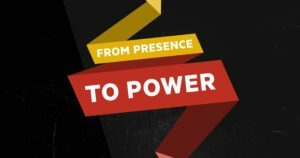 Leaders must see that addressing the needs of Black users and employees, collaborating with civil rights groups to correct existing issues, and rooting out the internal forces hostile to civil rights are essential for the company’s future success. While we were pleased to hear that Facebook will release an update on the status of the civil rights audit by the end of the year, Joel Kaplan’s continued role as the head of the policy team compromises the audit’s integrity. Not only has Kaplan worked with both the founder and president of Definers Public Affairs in the Bush White House, but recent reports also indicate his Washington, D.C.-based policy team oversaw Facebook’s relationship with the firm. His fingerprints are all over the roadblocks mounted to stall the civil rights audit and undermine our work. Since 2015 Color Of Change has been at the negotiating table with Facebook pushing the online platform to protect Black activists who were being doxxed by white supremacist and white nationalist groups. Color Of Change expanded its interactions with Facebook after the platform deactivated the account of Korryn Gaines at the request of the Baltimore County Police Department. 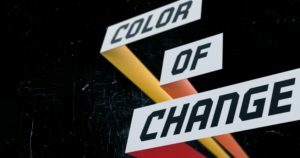 In the last year, Color Of Change has met with Facebook over ten times including multiple face-to-face meetings around the civil rights audit of the platform’s policies and practices, which Facebook agreed to conduct as a result of more than two year of negotiations lead by Color Of Change, in partnership with various civil rights organizations. Color Of Change first began calling for a civil rights audit in 2016. Just last month, Color Of Change spoke to Facebook about the Change the Terms policy platform, which if implemented and enforced, would help to reduce the presence of hateful activities and online violence that manifest in physical violence. Immediately fire VP of Global Public Policy, Joel Kaplan and all PR firms Facebook worked with to delegitimize Color Of Change and our partners. Release all of the opposition research documents the PR firms compiled on Color Of Change and our allies so that we can understand how far Facebook went to undermine civil rights work. Release the data on voter suppression attempts. In an October 15th statement, Facebook announced updates in the process for reporting voter suppression and voter manipulation. Given the revelations about how the company handled 2016 election interference, a full and public disclosure is required. If the company does not comply, House Democrats should subpoena the records. Commit to a timeline for public release of the civil rights audit, including meaningful steps to address the harms raised.